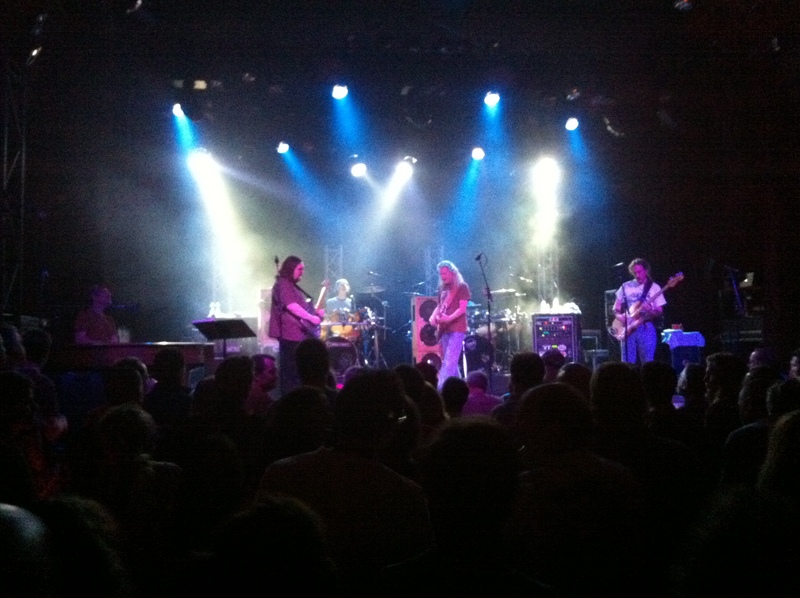 Jeff Mattson made his Los Angeles debut as the lead guitarist/singer for Dark Star Orchestra Friday December 3rd, 2010 at the El Rey Theatre. 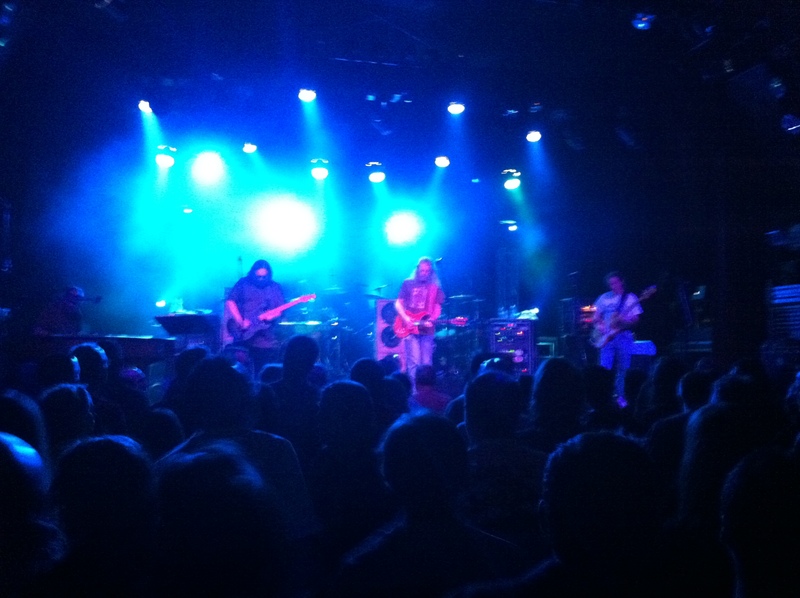 My favorite venue to see this incredible band was the perfect setting for Mattson’s introduction to Angeleno Dead Heads and DSO Heads alike. I’ve been listening to Mattson’s work within this incarnation of the band and have been wildly impressed. But nothing I heard came close to seeing these folks work their magic in a live setting. No recording can do it justice. 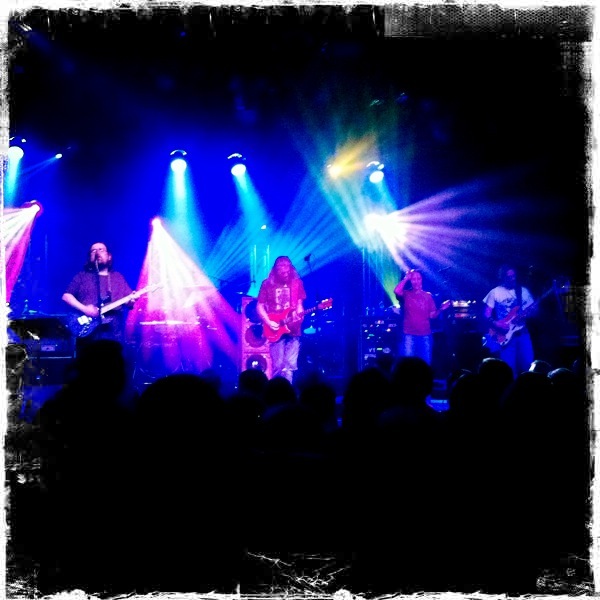 DSO added one more song as filler, something they do quite often. On this night, we got keyboardist Rob Baracco recreating Pigpen’s “Mr. Charlie.” The perfect topper to a perfect evening. Mattson’s an interesting fellow to watch. His seemingly expressionless features can quite suddenly transform into a wide, buck-toothed grin as he –and us– are caught in a moment of uncontrolled ecstasy. Simply put, Mattson is a joy to watch and the music that rolls effortlessly off his fingertips lifts the very floor beneath your feet. And the rest of the band grin right alongside him as the music crescendos again and again, spreading irrepressible smiles through the audience until the whole joint is dancing wild, screams of joy bursting into the air, hairs standing on end. It is one of the great moments in life that remind you just what an amazing experience we are capable of achieving here on this earth. I recorded most (though sadly not all) of the second set on my iPhone. It’s far from great quality and I’ll be replacing it with better as soon as something shows up on Archive.org or elsewhere. But in the meantime, this will have to do. And I apologize for the loud woman who appears periodically throughout the recording. She was a sweetheart, but she must have been feeling A.D.D. this night as she rarely stopped talking or moving. She loved the music, but being able to concentrate on it for more than a few seconds at a time was not her strong suit. That said, she had a good time and couldn’t have been nicer. The recording, however, picks her up like another member of the band. And a less talented one, I’m afraid. But that’s the live concert-going experience, warts and all, as it were. Nonetheless, it felt like family in there and, though I arrived alone, I never for a moment felt it. And this woman helped make that possible for me and for that I am grateful. If you’d like to listen to the second set from Estimated Prophet on, you can get an mp3 HERE. In addition, here are some vids I also took with my iPhone. Excuse the jerky nature of the image. I was dancing, dontcha know. Make sure you check out THE MUSIC NEVER STOPPED. One of the best I’ve seen. Ever.